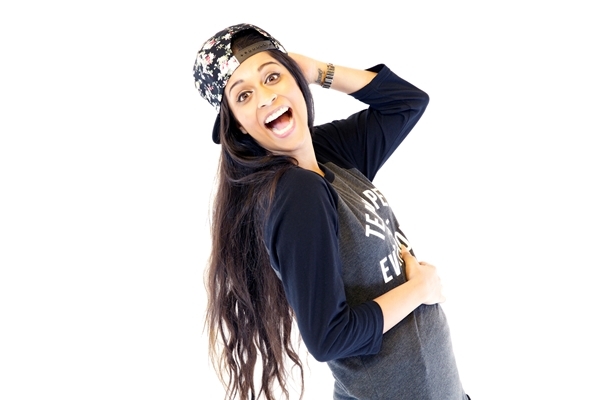 If THE kitsch promo video (which sees her belt out a version of Uptown Funk wearing a unicorn onesie) is anything to go by, then Lilly Singh is ramping things up a notch for her 2015 world tour, A Trip to Unicorn Island, which kicked off this week. With the India leg organised by Culture Machine, Singh performed to full houses in Mumbai and Delhi earlier this week, and the Bengaluru shows will be her final appearance before jetting off to Singapore. Known to her fans as Superwoman, Singh says the YouTube username that propelled her to fame was coined at the age of nine, and inspired by a hip hop song by Lil Mo. a�?Calling myself Superwoman was really motivating growing up. I adopted the philosophy that everyone can be their own superhero and still believe it today,a�? she says. About to embark on her biggest endeavour to date, she maintains that her only aim is to make sure people leave her shows feeling happier than when they arrived. a�?Ia��m known as an online personality, but ita��s time to bring that magic to the stage,a�? she says, adding, a�?You can expect my channel to come to life with comedy, sketches, music, dance, inspiration and a whole lot of positivity.a�? India has a special place in the Canadian-born performera��s heart, and the decision to begin the world tour here was very deliberate. a�?My parents are from India, so being able to get recognition here is validating for me because it makes them proud on a deeper level. Also North America is quite spoiled for events. It was important for me to start my tour in places that may not get stuff like this that often. Ita��s my way of saying a�?I see you and I care about youa��,a�? Singh explains. And if youa��re wondering about the tour name, Singh has the answer. a�?I love unicorns, mostly because I am one. Also, I feel like people are always so concerned about wrongs and rights in life and forget to live a little.a�? Naturally, the social media queen has started dedicated Instagram and Twitter handles for the tour, and this week a new app with backstage insights and interviews went live. a�?Ita��s going to be an epic world tour. No seriously, ita��s going to be awesome sauce,a�? Singh signs off.